Recently, we had the pleasure to interview Proud Music’s exclusive composer Frank Herrlinger. He spoke with ease and excitement about himself and his work without even once stuttering or doubting, he exhibited a confidence uncommon for a young man his age (Frank is 30 years old). PM: Thank you for agreeing to this interview, Frank! Frank: The pleasure is mine. It is so nice to finally meet you! I have always loved music, and I like to talk about music! I guess that I grew up with music. Both of my parents had musical education, so they naturally introduced me to it and offered me the opportunity to learn to play different instruments. This might sound dumbfounding, but the first instrument I picked up was the accordion….Yes, I know. It does not sound like the instrument a young child would want to learn to play, but I actually did. And I stuck to it for three years. Then, an appeal to pop music diverged my interest to church organ and keyboard. I was attracted to the bombastic sound of the instruments and what you could do with them, and I ended up playing both of those for five years. But as a teenager…these are instruments that a teenager does not consider “stylistically right”, so I turned to electric guitar because at the time, I preferred metal and pop rock. It seemed natural to form a band at that age, and some friends and I did. The band existed for ten years, and I played solo guitarist. PM: Do you have a favorite composer or a composer that you admire? Frank: Well, that is actually a difficult question because I do not have just one composer that I like, but many. Frank: Yes, and they are actually from the film music field. I admire them all for different reasons. One example is Thomas Newman, the composer of American Beauty. He uses many rhythmical and stimulating elements in his music, and he accomplishes it without a loud melody. Now that is admirable! There is also John Powell. He composed the music for How To Train Your Dragon and Ice Age. He is completely different. His melodies are loud and catchy, and you find yourself whistling them. When one of his songs starts, that happens often. It is the kind of music that is written for children because it is repetitive. Another one is Hans Zimmer, who has composed soundtracks for movies such as Pirates of the Caribbean. He has the ability to convey emotions in movies outstandingly well. PM: And what about musicians? Frank: No, because I don’t really see myself as a musician, rather as a composer. I have paid more attention to composers. In fact, Frank has enjoyed learning from well-known arrangers in the past, submitting his pieces to them, and asking for their advice. They include David Bloomberg (Jackson 5 and Stevie Wonder), and Glenn Jordan. PM: When did you start composing? Frank: I actually started composing while I was still studying, around 2003-2004. I started writing music because I like music, and not because I thought I would be making a living from it. Now, I didn’t follow the classic path, because truth be told, a director and a composer don’t speak the same language. I like composing and I think it is important and good to share what you know. 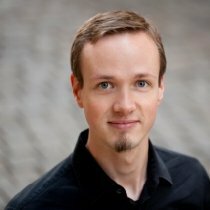 For that matter, I have a blog about music production (http://composerfocus.com/page/6/). Whenever something finally dawns on me, I feel the need to share it with others. It might not offer others an answer, but it might help them find a solution to their particular problem. A person has to be able to modify ideas. PM: Yes, I know what you mean. There is a great deal of information out there, and yet, there are times when the information we are looking for cannot be found. Luckily, blogs are not only becoming a trend, but also a means of finding that information. Nevertheless, there are cultural differences that keep people from sharing information. Do you think this obstacle could be overcome? Frank: Of course! As I mentioned, sharing information as a composer does not mean that anybody can plagiarize me. In fact, I work and rework my pieces experimenting also with virtual tones, so I know that my style cannot be imitated. Sharing information is intended to help others find a solution to problems they might encounter when composing themselves. PM: I have been listening to your work on the Proud Music Library and on YouTube. Your style is often described as “epic”. How would you yourself describe your style? Frank: Yeah, “epic” is fun, but I would not describe it as “the Frank Herrlinger style”. If I were to play my style, I think that more rock and romantic ballads where you would hear a more emotional devotion with an acoustic guitar would transpire, and not epic music. It is good to have many sides and try different styles, not just one, because music is a craft. Creative phases are always different. It changes constantly, and in this business, it also depends on the client, from the style he requests. Still, it is important to be true to yourself and others. I guess you could say that my style is what I enjoy listening to, what I like right now. And I am certain that it will change in five years, and that is okay. PM: Do you write, play, and produce all your work? Frank: I am not always a “one-man show”. I compose my pieces myself, and I often mix and polish them myself, as well, but it also depends on a deadline and how fast I have to produce my work. I sometimes engage the support of other composers who are ready to help. I cannot play every instrument myself, even though I play the guitar and the drums, and program tones on the computer. But live professionals play instruments such as contrabass and ethnic flutes for a fee, of course, and how they play… the sounds that emanate from those instruments! And cooperation is fun! I never work on paid contracts by myself. I always enlist the help of others. The song turns out better when you engage other tone engineers and musicians. And there is never a budget issue. Nobody works for free. May I add something? Frank: One more thing I do and I actually enjoy doing is marketing myself. You attend school and learn about music, about composing, and what nobody tells you is that you will be unemployed after you are finished with your studies. How do you market yourself? Nobody teaches you how to. In my case, I see myself as somewhat of a businessman. It is a game to me, a game where you need to know the rules, where sometimes you win, and sometimes you lose. But that is not bad, since there is always a new game to play. Part of the game is finding out what is marketable. Even with licensed music, you have to find a market for it. Nobody tells you what to write; you have to have a feel for it. What is mainstream is fun because it is what sells, and what is not or is too innovative will only be known after one’s death. Those who see themselves as mainstream musicians do what they like, and also what sells. I see myself as a mainstream composer; I am not interested in becoming famous after my death. PM: Some artists like Hopper kept records of their work. Do you know how many pieces you have composed? Frank: Let me see… (counts quietly in his head). Licensed pieces about 400 and projects…I would say some 600-700 pieces. Wait: Did I just say 600-700? Frank: It is hard to believe that it has been that many! And now that I think about it, I also keep an Excel table –only for licensed pieces- of how successful or unsuccessful one of my pieces has been. I also know if the piece had edits or loops, in which quarter, and for which license it was sold. So I know exactly which styles do not work. (Laughs) I guess that is the business side of me. PM: What is a normal day like for you? Frank: This is a funny question because I think people expect to hear that it’s all party and rock’ n’ roll, and that would be rubbish. I actually sit in front of the computer some ten to fourteen hours a day and compose. I also have office work to do for Proud Music’s A&R, but that occupies me for a couple of hours. PM: It sounds like a lonely job. Frank: Yes, it is. Happily, I am self-employed, and I actually have the power to change the situation. To sit alone in a room for the next 20 years, I don’t want that for myself. I am a sociable person and I enjoy interacting with others. How can I change that? I have this idea of furnishing a house and turning it into a composers’ house. It would be a 3-4 room house, and I could sit there and work, and rent the other rooms to other composers. Then we could take breaks and visit each other and exchange ideas and benefit from each other. PM: What a wonderful idea! Frank: Yes, it is. I consider Hans Zimmer my paragon. He established a company based on this concept, and he works there and rents rooms to other composers. That is my goal, my career dream. PM: Best of luck bringing it to fruition. PM: My next question is if you follow a ritual when you write your music. Frank: An actual ritual…no, I do not. I have a short deadline for most work and need to produce music in a couple of days. It’s creativity under pressure. My inspiration comes when I go for a walk. People would probably stare if I took a pen and pad, so I take an MP3 player, and I sing melodies into it (I do not sing very well, by the way), and that way, ideas flow faster. If I sit in front of the computer and wait for ideas to come, it doesn’t work that way. If the weather doesn’t allow me to go outside, I find that walking for 10-15 minutes around my 88m² apartment works as well. PM: What would you say is the hardest thing about what you do? Frank: The hardest thing: ending a project. I am always looking for ways to improve a song, but you have to be able to say, “Okay. Enough,” and end the song. The good thing is, that there is a deadline so you are forced to make a decision. PM: If you were not a composer, what other path would you have taken? possibilities. Are you ready? Ok. The first one is a martial arts teacher. Frank: Yes. While I lived in Cologne and Munich, I was practicing Wing Tsjun, a Chinese type of martial arts. Now that I live in Vienna, I couldn’t find a place where they practice the technique, so I am doing Arnis, which is a Philippine type. The second path: a physicist. PM: You’re not the first person I hear of who relates music to physics. Frank: Well, I believe that physics and music are connected. Physics can help you determine why something sounds good and something else doesn’t. PM: Interesting! Now, to end our interview, I was wondering what advice you would give someone who is considering becoming a composer. Frank: I have thought long and hard about this subject, and I have summarized it as follows: First, learn to support the project (the visions) of others. It is never about the music and the composer being in the limelight. What is important is the project manager’s vision. Second, the hired composer writes music, and this music never stands alone, as is the case with a band or a singer. Therefore, you must be nice and cooperative, and be able to work in a team. That’s it. PM: Frank, thank you very much for your time. It has been a treat getting to know you. The interview ended, and Frank returned to his work on that day: finding tones and sounds to add to a database that already comprises some 8000 30-second audio bits, which in due time will be improved and re-worked.